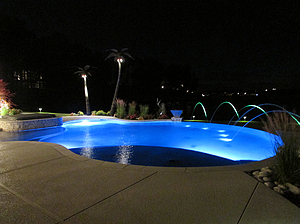 Lighting elements both in and around a swimming pool can have a huge effect on the overall ambiance of an outdoor space. 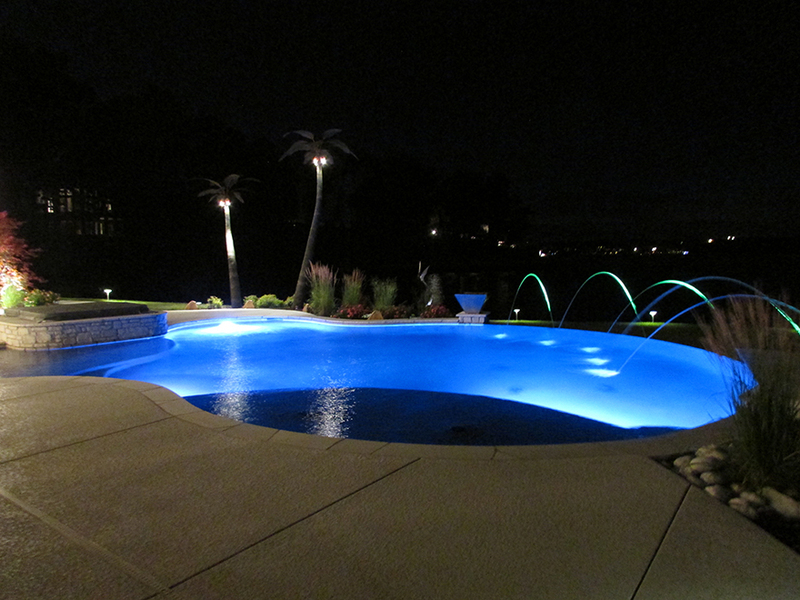 If you are going for a more traditional, elegant look, then classic white lighting is probably the way to go. 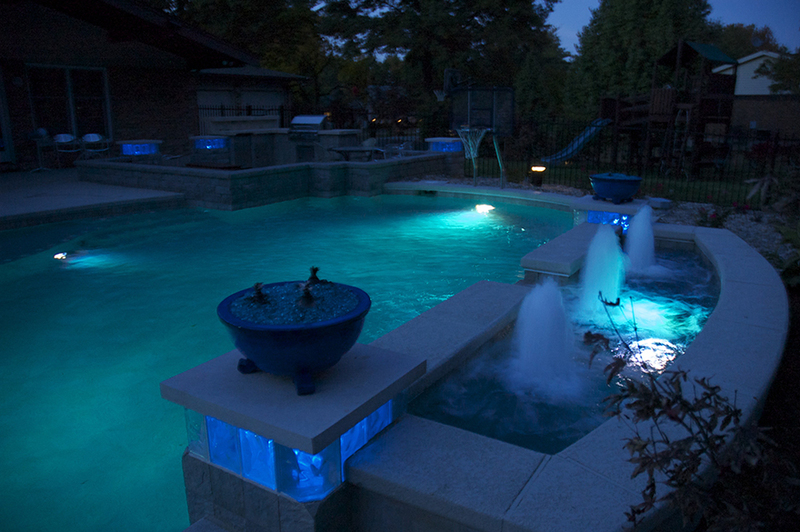 If you are trying to create a more whimsical atmosphere, colored lighting might be a better option. 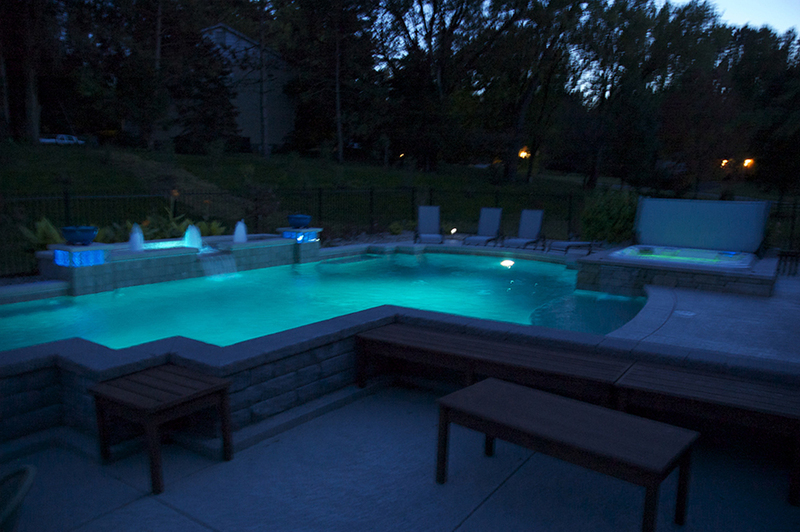 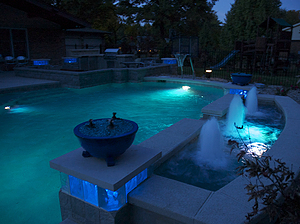 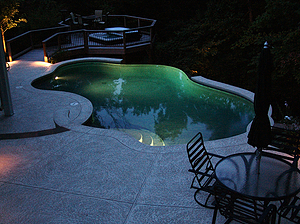 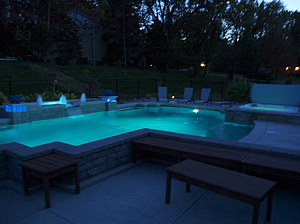 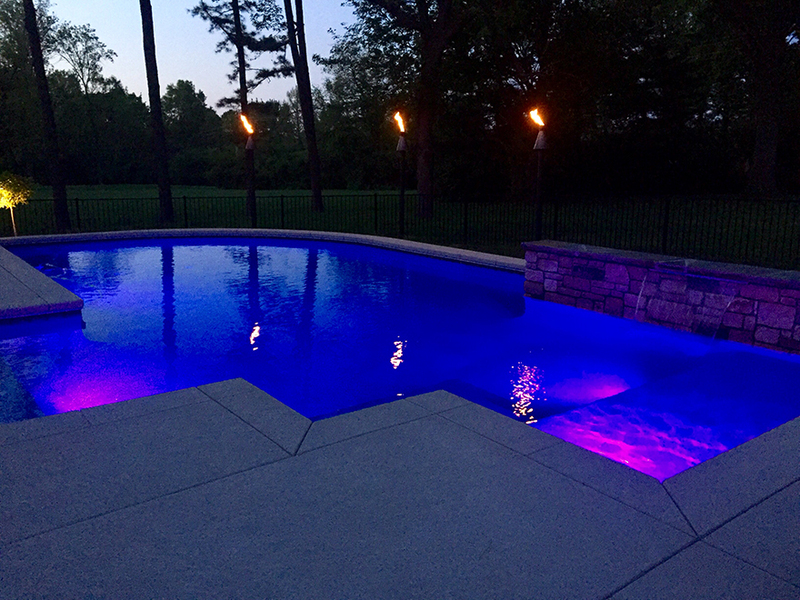 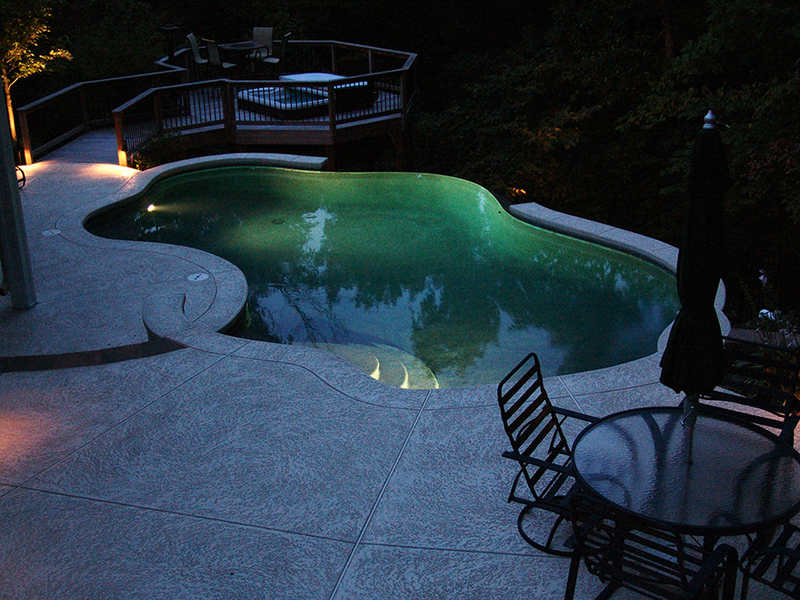 Whatever your style, outfitting your pool with fiber optic lighting, glass blocks and other lighting elements can create a fun and exciting environment for those evening parties and late-night swims. Landscaping lighting and fire pits are another great way to enhance the appearance of the area and to improve safety. 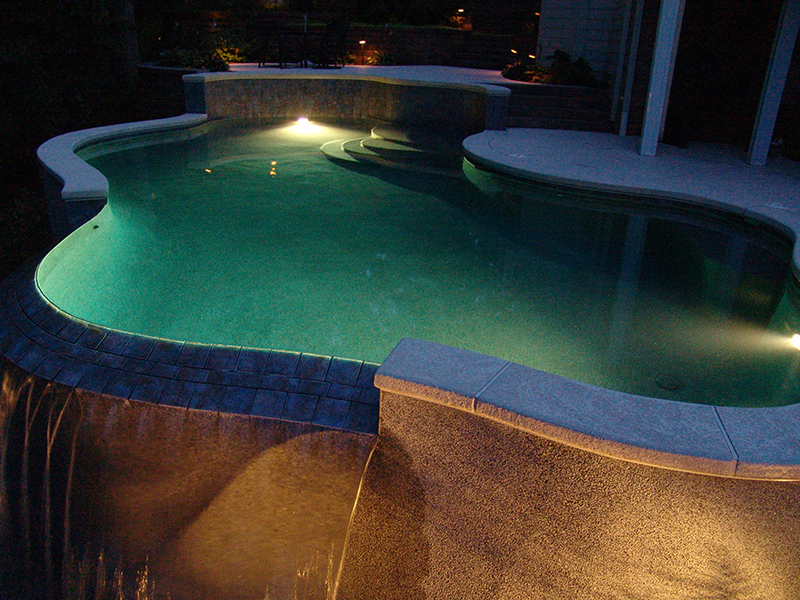 Our experienced team of designers will help you to determine which options are best for you.